Two new studies on the use of femtosecond laser procedures in cataract surgery indicate that they may be safer and more efficient than the standard procedures used today. Employing a femtosecond laser to fragment the existing lens in a patient’s eye has several advantages, according to data presented October 2011 at the annual meeting of the American Academy of Ophthalmology (AAO) in Orlando. 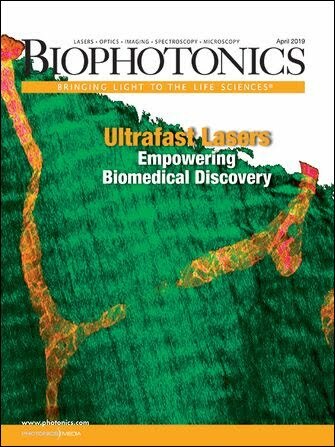 In the first study, led by Dr. William Culbertson of the University of Miami School of Medicine, pretreating cataracts with the femtosecond laser affected the level of ultrasound energy needed to soften the cataracts. This emulsification is performed so that the cataracts can be easily suctioned out. Surgeons want to use the lowest possible level of ultrasound energy because, in a small percentage of patients, it is associated with slower recovery of good vision after surgery and/or problems with the cornea. In appropriate cases, Culbertson said, ultrasound might be eliminated altogether. This intraoperative photograph shows the anterior capsule of a cataract cut into a perfect circle and the nucleus of the cataract softened by dividing it into 0.5-mm cubes, which facilitates aspiration of the cataract with minimal phacoemulsification energy. Images courtesy of William Culbertson, MD/Optimedica Corp. In Culbertson’s study, 29 patients had laser cataract surgery performed with a femtosecond laser on one eye and the standard cataract procedure, called phacoemulsification, on the other. The laser surgery element comprised a capsulotomy step, where a circular incision is made in the lens capsule, followed by laser lens fragmentation – where the laser splits the lens into sections and softens it by etching cross-hatch patterns on its surface. Standard surgery included a manual incision, followed by ultrasound emulsification and aspiration. After cataract removal by either method, intraocular lenses were inserted into the eyes to replace the natural lenses and to provide appropriate vision correction for each patient. An intraoperative photograph of the last of four quadrants of a laser-softened cataract being phacoemulsified. The square edges of the cataract fragment show the deep segmentation cuts made by the femtosecond laser. The use of ultrasound energy was reduced by 45 percent in the laser-pretreated eyes, compared with the eyes that underwent the standard cataract surgery procedure. Also, surgical manipulation of the eye was reduced by 45 percent in eyes that received laser pretreatment as compared with manual standard surgery. This study involved the most common types of cataracts, those graded 1 to 4. Culbertson noted that these findings may not apply to higher-grade cataracts. In the second study, led by Dr. Mark Packer of Oregon Health and Sciences University in Portland, the safety of laser cataract surgery was assessed in terms of loss of corneal endothelial cells, as measured postsurgery. Measuring endothelial cell loss is one of the most important ways to assess the safety of new cataract surgery techniques and technology. These cells preserve the cornea’s clarity, and because they don’t regenerate, they must last a lifetime. Packer’s study found that, when laser lens fragmentation was used on 225 eyes, there was no loss of endothelial cells, while the 63 eyes that received standard treatment had cell loss of 1 to 7 percent. The two studies further confirm the value of femtosecond laser surgery, according to the AAO. Although ultrafast lasers have been used in refractive surgery for many years to reshape a patient’s cornea, the key challenge with cataracts has been that the lens sits much deeper within the eye. It wasn’t until 2009 that a new femtosecond laser capable of reaching that deep was approved by the FDA.